Beekeepers in Tulsa have been recently taking on social media to post photos of their early swarms this year. A local expert affirmed that bees did began to disperse earlier than usual but said he believed the increased buzz perceived might be due to the growing number of beekeepers using the Internet to share their experiences and raise awareness on the importance of bees as pollinators. 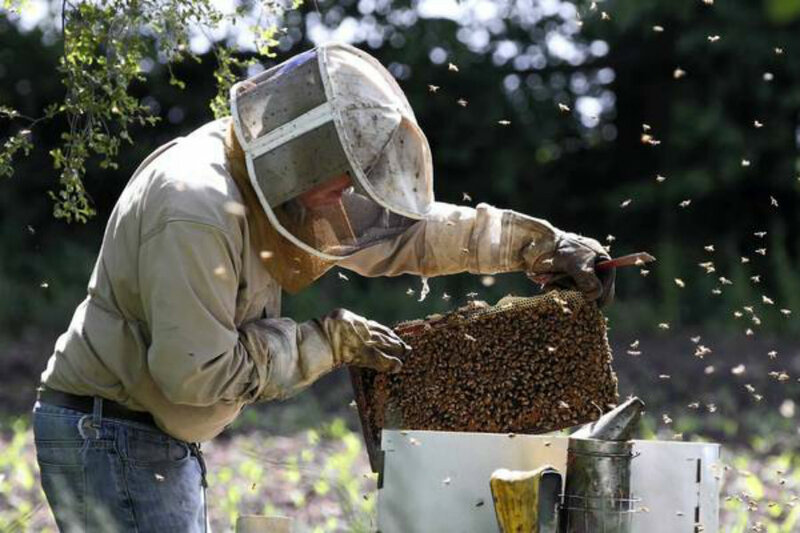 Greg Hannaford of Tulsa Bee Company and Hannaford Honey, who began his career 25 years ago out of a hobby he describes as fun, is taking advantage of the current swarming to educate people and telling them why bees do not pose a danger to humans. He said honeybee populations are indeed affected in the United States because of the Colony Collapse Disease, but noted that the number of urban beekeepers is rising, as reported by Tulsa World. Hannaford said bees typically swarm mid-April to early June in the Tulsa area, but this year swarms appeared in early April and possibly in late March. He attributed bee’s early behavior to the weather. The beekeeper commented that people are usually scared when they see a swarm, which is why he focus on teaching that the animals are actually very docile at this stage. The swarm can hang out on a branch from 20 minutes to several weeks, Hannaford said. At this stage, beekeepers can pick up the swarm and put the whole mass into a new home. He says he can pick up many of them wearing no more than a T-shirt and a veil over his face to keep them off so he can focus on his work. The beekeeper said people from his neighborhood are afraid until they come around to see him show up in a T-shirt putting bees in a cardboard box. About 15 people have gathered to watch him work, he said, as he enjoys the chance to talk to them about bees and the essential job they do as pollinators. David and Becky John of Skiatook were once Hannaford’s students. They wear their protective gear to gather swarms and also take additional measures to be able to fully enjoy their time.